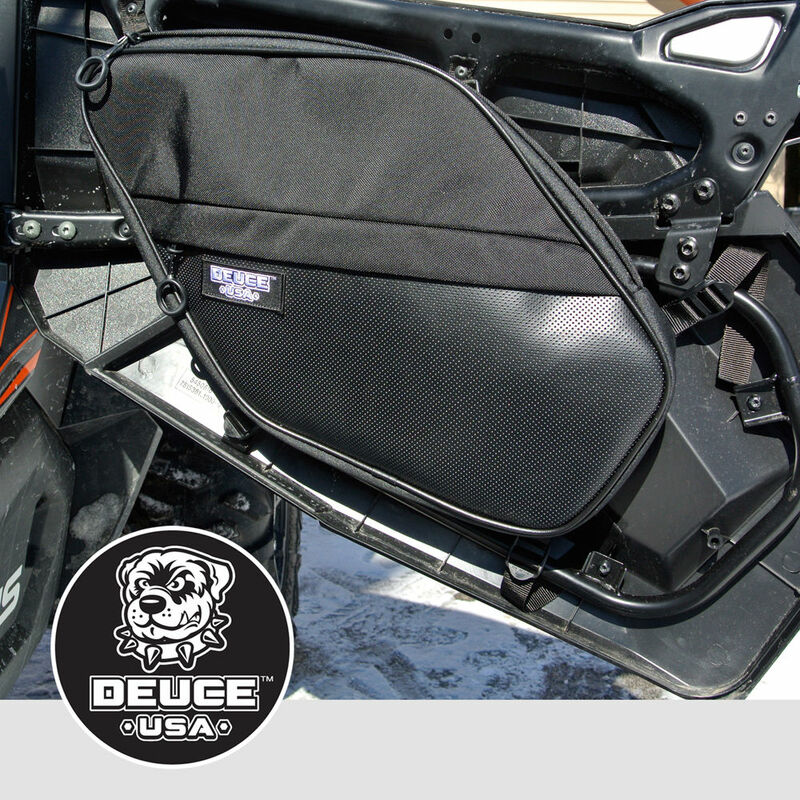 Two high quality full door storage bags for the 2015 Polaris RZR 900. Available in various colors. • Large size 12″x24″x3″ for full doors only. • Bolts directly to side doors*. • Adjustable 1″ nylon strap installation. 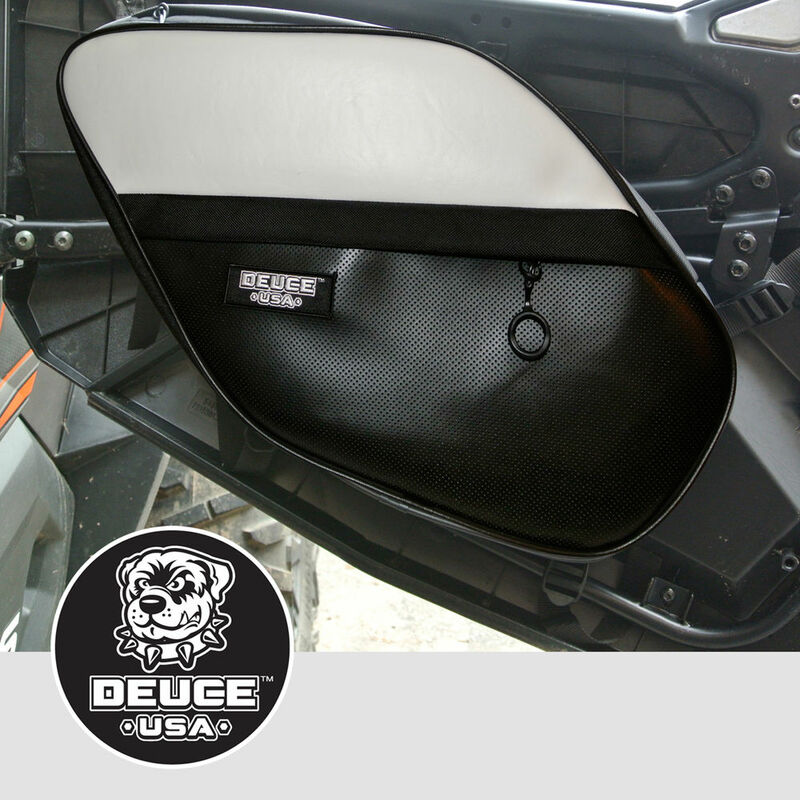 • Front and top zipped pocket with mud flap. • Padded inside pocket for cell phone and small items. • Oversized Orbit Zipline Zipper pulls. 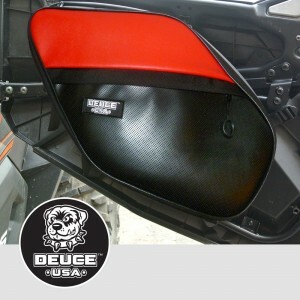 • Premium Foam Padded, Ballistic Nylon, Nautolex Marine Grade Vinyl. 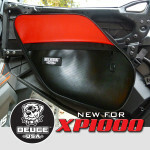 Polaris 2017-2015 RZR 900’s Stock Doors with lower units. *RZR Must have lower door units installed!